QLY55A wheel crane is a 55t heavy duty mobile crane with fully hydraulic power drive, lattice boom and continuous 360 degrees full circle swing, specially designed for harbor working conditions. 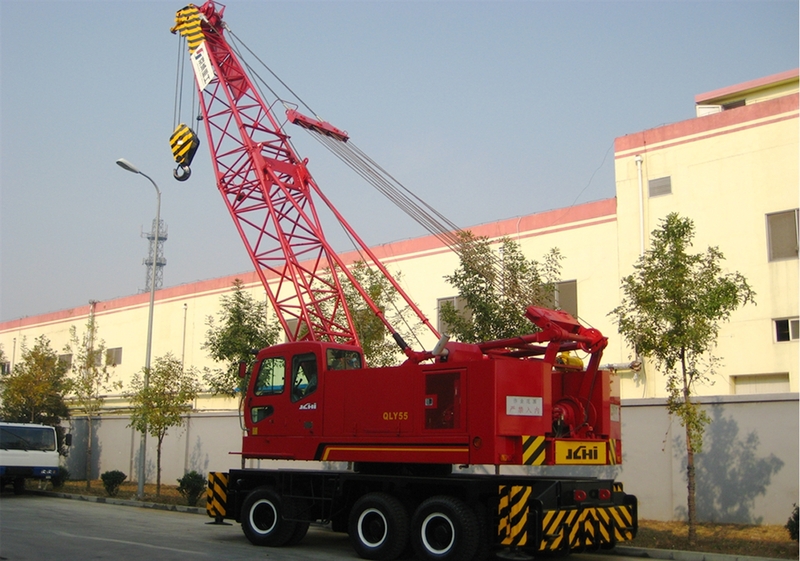 With high efficiency, high reliability, fuel economized, QLY55A wheel crane meets harbor crane work requirement, easily maintained. All of the main components are imported, including engine, pumps, motors, valves, clutch, brakes and components of air circuit and electrical system.